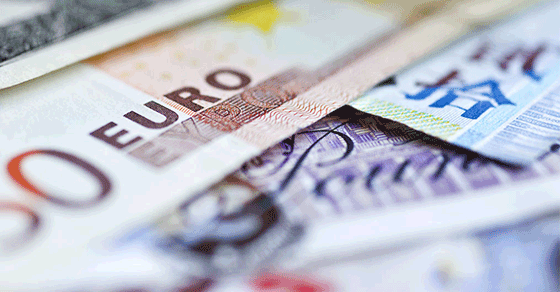 Economic data out of Europe was weak overnight, stalling a rebounding euro. Yesterday’s Brexit vote in the UK Parliament only served to confirm market expectations of a delayed, soft Brexit. Markets turn to US-China trade talks and hope for positive news before the weekend. Tomorrow morning will bring March jobs data out of the US with a high revision to February data expected, albeit in a downward trending employment market. The dollar is stronger today while markets await news on trade talks, but a timeline on an announcement is uncertain. Tomorrows Non-farm Payrolls for March will very likely be significantly higher than February which was a meager +20K. After yesterday’s ADP private employment report, the markets are expecting a significant revision upward to the March NFP reading. Market reaction may be volatile as the trend in jobs is still expected to show a slowdown from last year’s pace. The British pound initially gained slightly after the UK Parliament last night passed legislation that the UK cannot exit the EU without a Brexit deal. The bill now goes to the House of Lords for scrutiny and approval. However, the pound reversed toward a loss this morning as markets are already expecting a longer delay to Brexit and a soft Brexit. Any surprise to this outlook will send the pound plummeting. The euro lost after German factory orders unexpectedly plunged in February, adding further evidence that Europe’s largest economy is still experiencing a slowdown in economic activity. Italian officials cut economic growth forecasts for 2019 to just 0.1%. The Canadian dollar continues on a weakening trend begun in mid-2017 despite the higher price of oil. Since early March, oil has risen 12% and CAD has weakened slightly vs. the US dollar over the same time. The last time the oil price and CAD decoupled, the oil price came crashing down. The Reserve Bank of India cut rates today for the second time this year, leading to a weaker rupee. The Japanese yen and the Chinese renminbi remain stable as the markets prepare for any remarks from a meeting planned between Trump and the Chinese chief trade negotiator Vice Premier Liu He at the White House later today.